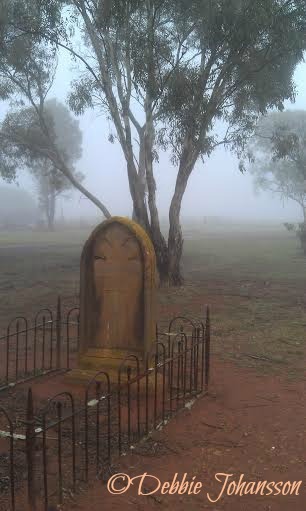 Using Cemeteries for Writing Inspiration. Growing up in suburban Sydney, I lived near Rookwood Cemetery, the largest cemetery in the Southern Hemisphere. Generations of my mother’s family have been buried there and we would make regular visits. 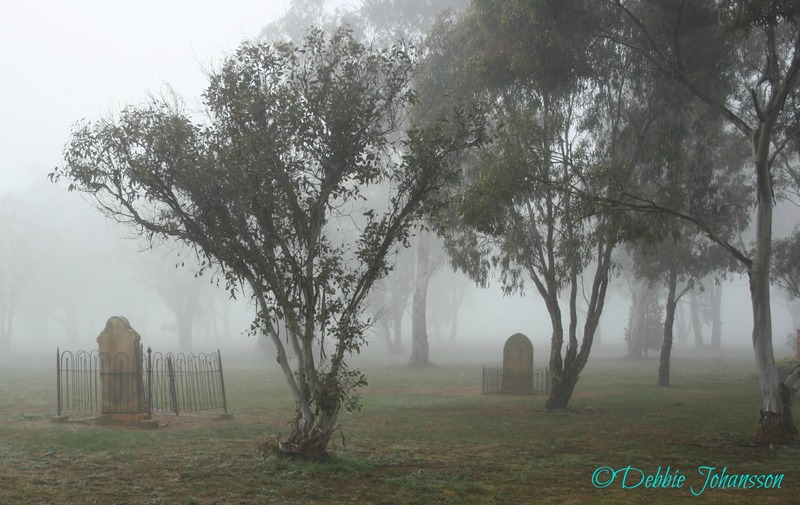 Graves and cemeteries had therefore become second nature; so when I spent a quiet, misty morning some years ago in winter at my local cemetery, I found it to be quite peaceful. I’ve always been fascinated by death and the thought of an afterlife. It could explain my interest in ghosts and other spooky subjects. I found walking alone amongst the graves intriguing. Each and every one of them had a story to tell. I was surrounded by history; some dating as far back as the 1880s. I was surprised by the number of smaller graves – one child died the day it was born, either still-born or it was too late to be christened. One grave was of a twelve year old girl; another girl dying at eighteen. My curiosity aroused the writer within me. What happened to these children to die so young? How did they die? Who were they? Some years ago, while visiting relations on their property, I encountered an old grave of a six year old boy. Apparently he had drowned in a nearby creek during a flood and straight away all sorts of questions came into my head. The writer within me thought of the many hardships encountered by our pioneering women and this idea became the inspiration behind my first bush poem. I entered that bush poem in a competition, without success. Now I have dusted it off and begun to breathe new life into it (don’t throw anything out remember 😉 ). It had been suggested to me before that the poem could become a short story and I am currently trying to work this into either a long short story or novella. I am having fun using Pinterest to help with inspiration for setting, characters and undertaking some research. So next time you’re struggling for a bit of inspiration, try your local cemetery. I’m sure the residents won’t mind you telling everyone their story. What unexpected places have you found inspiration for your writing? Are you comfortable around cemeteries? What are you currently working on? Previous Post Back to the 80s: H is for Hunters & Collectors. Next Post Back to the 80s: I is for INXS. Hi artisticsmash. Thanks for your comment. It’s good to find a kindred spirit on this issue, as I think many people as you say would find it morbid. Perhaps, like us, one really needs to familiarise themselves with cemeteries from a very early age. They are full of history and therefore, an endless source of inspiration.